Two Calgary energy companies will share more than $72 million in federal funding for clean technology projects being developed in Alberta’s oil and gas sector. Two Calgary energy companies will share more than $72 million in federal funding for three clean technology projects being developed in Alberta's oil and gas sector. Minister of Natural Resources Amarjeet Sohi was in Calgary on Thursday to announce the new funding, which the federal government says will leverage more than $415 million in private investments. 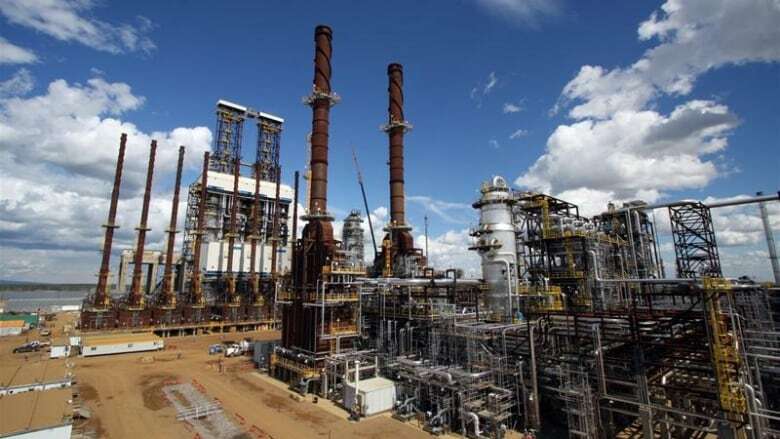 Canadian Natural Resources Ltd. will get $22.3 million from the Low Carbon Economy Fund for a new steam turbine generator technology that will help produce lower-emission power at its facilities at the Athabasca Oil Sands Project. The company will also receive $5 million from the Clean Growth Program to further develop an in-pit extraction process that separates oilsands ore into solids, bitumen and water at its Horizon oilsands mine site in northern Alberta. Emissions Reduction Alberta is putting up $5.6 million to support this project through the provincial government's Oil Sands Innovation Challenge. Titanium Corporation will get $45 million from the Clean Growth Program and Low Carbon Economy Fund for a technology designed to remediate oilsands tailings at Canadian Natural's Horizon Oil Sands site. Emissions Reduction Alberta has committed another $10 million to support this project. "Accelerating clean technology development is a key component of our government's approach to promoting sustainable economic growth as Canada moves toward a low-carbon economy," Sohi said in a release. Canadian Natural president Tim McKay says the company is committed to using new technology to reduce greenhouse gas emissions. "In fact, Canadian Natural's Horizon Oil Sands operations has reduced our GHG intensity by 31 per cent from 2012 to 2017. At today's production levels, that's equivalent to taking 665,000 cars off the road," he said in a release.